“By failing to prepare, you are preparing to fail” – Benjamin Franklin. For most pinhookers and breeders, yearling preparation begins either when the hammer falls at the foal sales or when a foal is born. The Irish National Stud plan from the moment we take charge of a foal, backwards from the yearling sale date that has been identified as a goal for that individual. A balanced feed programme is one of the essential components, along with monthly farrier assessments and a detailed worming routine for each individual. The Irish National Stud is spoilt for space; all our paddocks are well protected by heavy borders of beech, oak, ash and sycamore trees. The paddocks that suit yearlings best is now formulaic, tried and tested over the past hundred years. 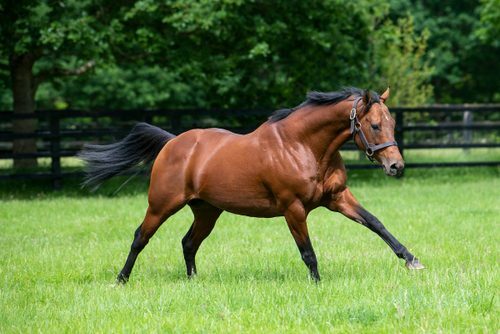 Yearlings require consistent access to balanced nutrients and minerals, making the Irish National Stud ideally located in the limestone-rich lands at Tully. Every effort is made to have a steady growth pattern throughout the winter months. A balanced feed programme, in tandem with the quality of forage available is essential for the development of bone which will support the massive strain put on limbs and joints in the future. As spring beckons, Stud Manager Annette Boland and our farrier take a close look at all yearlings, identifying possible weaknesses and watching eagerly for improvements. Yearlings at this time of year will be taught how to show themselves, walking and turning with conviction and purpose. This is also when yearlings that have not been through a foal sale will learn to behave, how to stand while other yearlings and unfamiliar people are moving around them. A vital part of their preparation, as no matter how well a yearling is bred, it will only get a handful of opportunities to “show” correctly at sale time. One bad show can ultimately cost thousands, a couple of good shows and your yearling is popular. Sale preparation will begin ten weeks in advance of the particular sale date; the usual mix of walking in hand, gentle lunging, time turned out, along with the consistent evaluation methods allows plenty of time to rectify any small problems, splints or curbs. With all that is required to produce a successful sales yearling, possibly the most important ingredient is our staff. 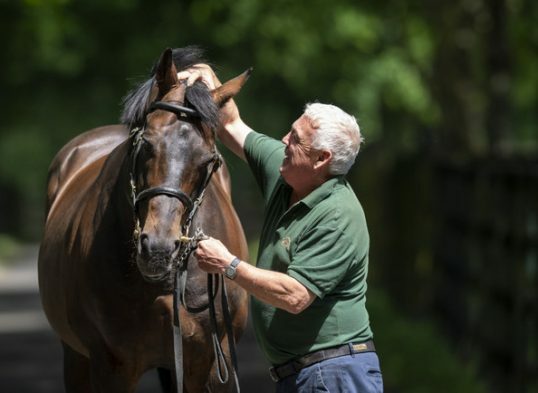 Unrelenting and dedicated, our highly trained, on site experts are key to the process, nurturing your yearling along, but delivering a racehorse to the sales ring. We also prepare foals and mares for the sales and other stock as requested. Please contact our stud office to discuss your requirements. 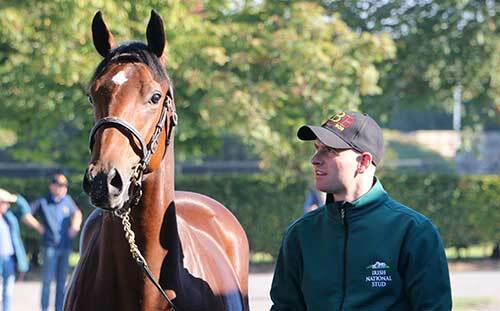 The Irish National Stud based in Tully, County Kildare provides long and short term facilities for mares, foals, yearlings and racehorses out of training. Our first class facilities are used by international breeders from around the world. With over 1000 acres of prime limestone land, you can be assured your horse gets the best possible start. Our sheltered paddocks are rotated with cattle and sheep followers to ensure the land is in prime condition year round. Working closely with our team of vets from Grey Abbey Vets and Master Farrier, Martin Leahy (M.F. ), our highly trained staff provide an all encompassing service, setting standards of excellence reflected throughout the farm. Our foaling unit operates 24-hours a day during the season, serviced by specialised and experienced foaling staff. A colostrum bank and nursery paddocks ensure that your foal is nurtured attentively during its early days. Foals are handled from day one and will be routinely vaccinated and microchipped (in preparation for registration). Necessary veterinary checks and remedial farrier work will also be performed in consultation with you accordingly. 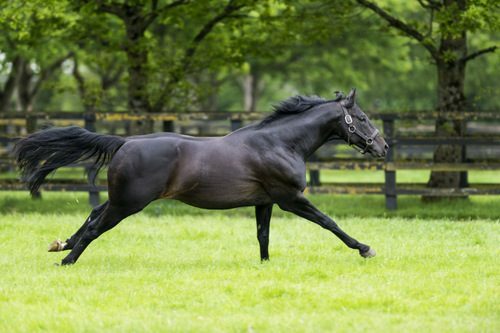 Take the stress out of your life and allow the Irish National Stud to board your mares all year round. Again, a quality service is extended and advantageous rates apply to these boarders. Registrations and veterinary administration can be carried out by the stud office, keeping paperwork for you to a minimum. 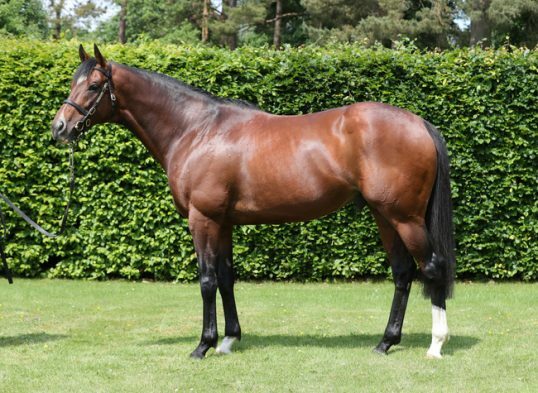 Boarding mares also receive first call on a stallion’s service. Your stock may be visited at any time and we welcome the opportunity to sit down and discuss their futures with you. 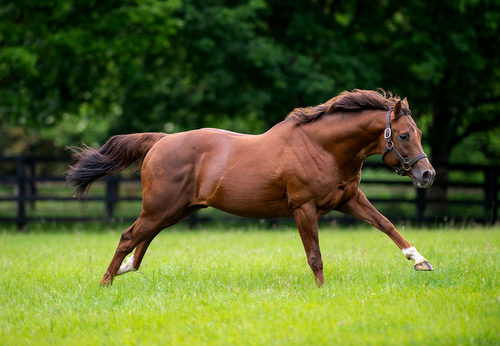 The Irish National Stud is delighted to accept seasonal boarding mares due to foal or whom are being covered by either our stallions, or those in the locality. We will keep you fully informed of your mare’s foaling and covering progress and work closely with the veterinary reproduction team to ensure that your mare goes in foal at the earliest opportunity. We have our own horseboxes for transportation. Mares are accepted for walk-in coverings and breeders may view the service from the covering barn. There are, however, specific covering slots allocated for stallions, so please liaise closely with the stud office and arrive in good time for your mare’s appointment. The Irish National Stud offer surprisingly good value and depending on category of animal, duration of stay, season, etc. 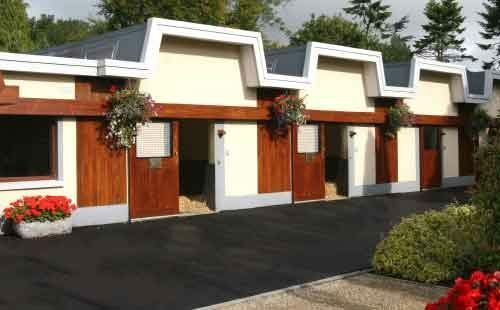 Contact the Stud Office directly on +353 (045) 521251 for a quotation. The farm at Tully was purchased from the Fay family in 1900 by Colonel William Hall Walker. Hall Walker became the most successful breeder of the age, enjoying his finest hour when King Edward VII led Minoru, born and raised at Tully, into Epsom’s winners’ enclosure following a famous victory in the 1909 Derby. In 1943, the newly formed Irish Government took over the land and buildings at an agreed valuation. In 1945 the Irish National Stud Company Ltd. was formed and it officially took over the running of the Stud on 31st August, 1946. In 1915 the farm and all its stock was gifted to the Crown and became The National Stud under the leadership of Sir Henry Greer. 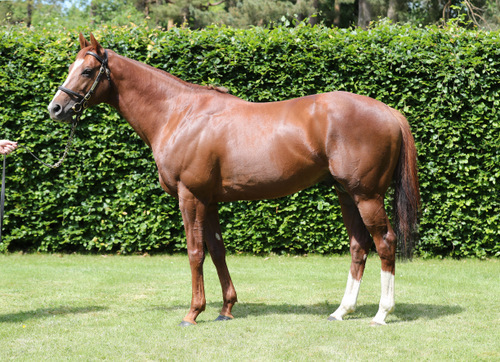 The success continued with the farm producing the winners of all five Classics. In 1942 Sun Chariot, born and bred at Tully, earned herself an indelible place in racing history when landing the fillies’ Triple Crown – the 1,000 Guineas, Oaks and St. Leger – for King George VI. 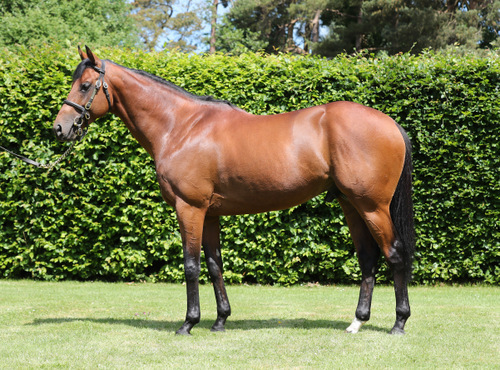 Almost seven decades later, in May 2011, Her Majesty Queen Elizabeth II came to the Irish National Stud to see for herself where the winners of five Classics for her family were produced.